Need something to keep your kids busy during Christmas break from school? 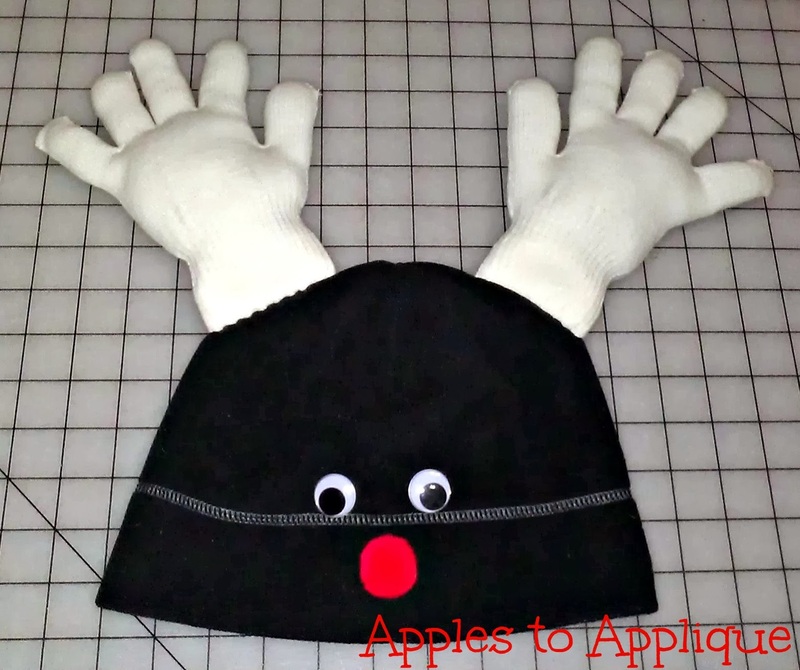 This is a great last-minute craft that kids can help with. Better yet, almost everything to make it can be purchased at a dollar store--or you may even have it laying around at home already. 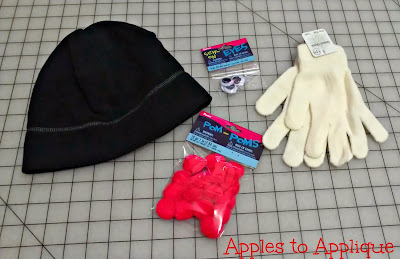 A hat, a pair of gloves, a red pom-pom, and some googly eyes. I got the sew-on googly eyes, but you could get the glue-on kind. You will also need some polyester stuffing like Poly-Fil. 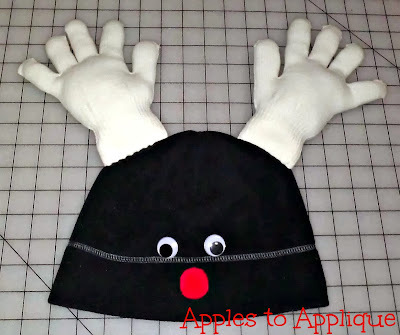 I would recommend brown gloves as they are supposed to be antlers. 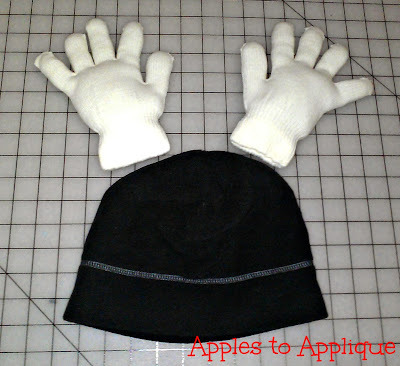 However, after a few stops around town, white was all I could find in cheap gloves. Apparently if it gets below 65 degrees here in Texas there is a run on gloves and hats. :) Of course the white gloves look fine, and you could have some fun with other colors, too! 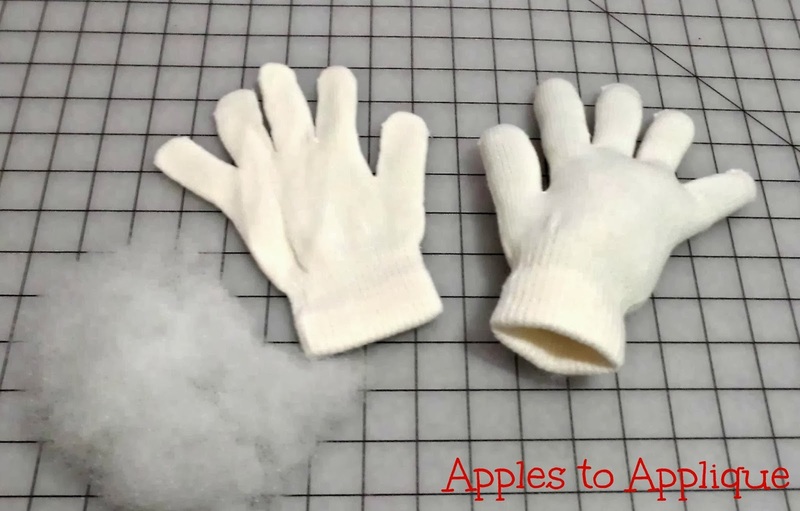 Start by stuffing each glove with the polyester fiber. This is definitely something kids can do! Make sure there is a lot of fiber down in the cuff; this will help with getting the antlers to stand up. 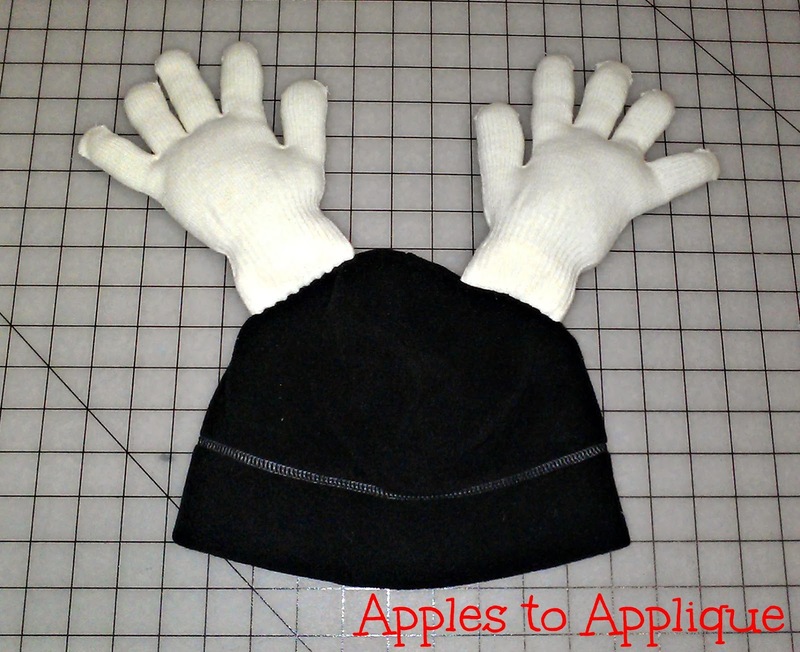 Line up the gloves where you want them on the hat. If you hat has a seam on it, it can really help with lining the antlers up straight. Sew the gloves onto the hat. To help the antlers stand up better, try to keep the cuff in an open circle as you attach it to the hat, sewing around it. This will give it a wider base. 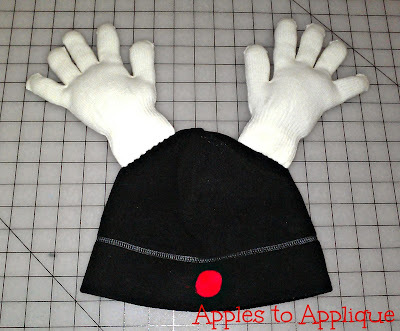 Attach the pom-pom at the bottom of the hat, centered on the front. I sewed mine on, because you all know I prefer sewing everything when I can. You could just as easily glue it on with fabric glue. Attach the eyes either by sewing or gluing. 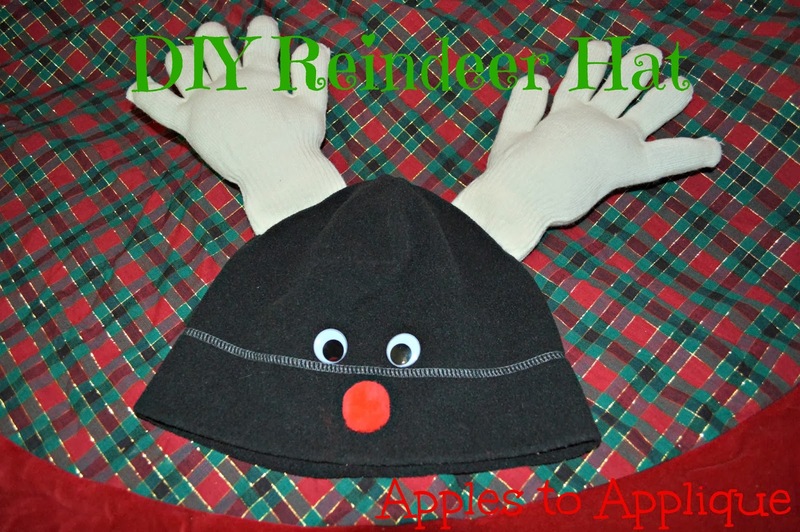 Your reindeer hat is finished! Go put it on and take some fun, goofy pictures!